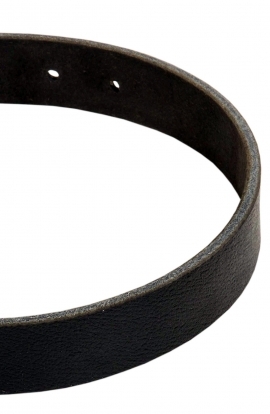 Search "boxer images" 40 results have been found. 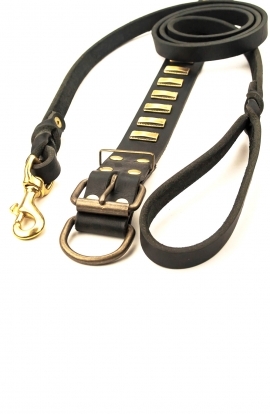 This built-to-last dog collar is made of heavy-duty 1 inch wide leather strap and features shiny nickel-plated hardware, which is secured by means of special solid rivets. 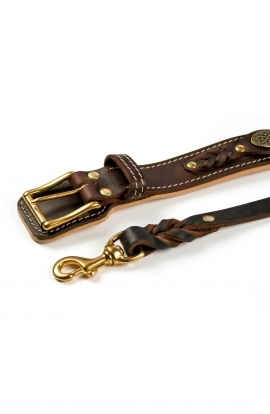 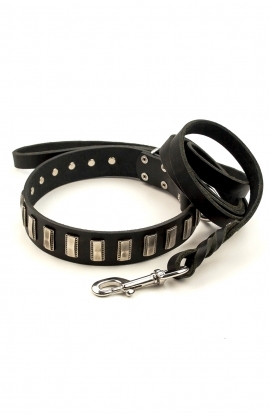 Classic Leather Collar with heavy-duty nickel-plated hardware is an ideal dog gear for your favorite pooch. 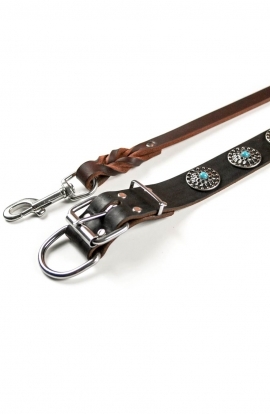 Handmade quality speaks for itself. 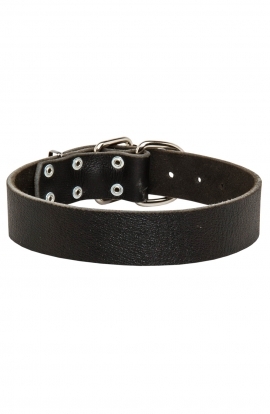 No stitching and glue, only one piece of thick genuine leather and heavy-duty metal hardware - everything is needed for perfect collar! 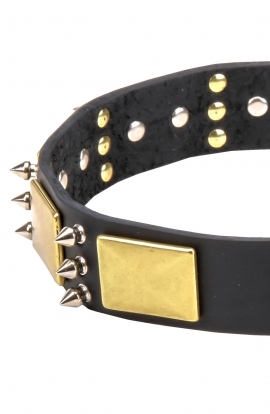 Another awesome handcrafted dog collar with studs. 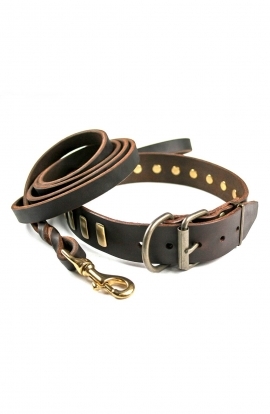 This elegant collar is made of top quality, expertly tanned genuine leather with brass D-ring and belt buckle closure. 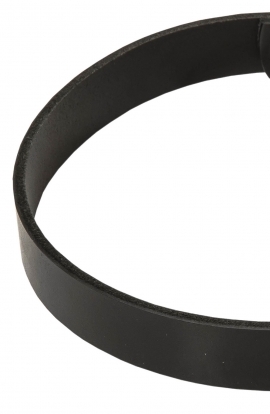 Very comfortable and pliable. 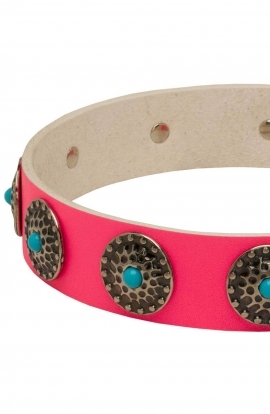 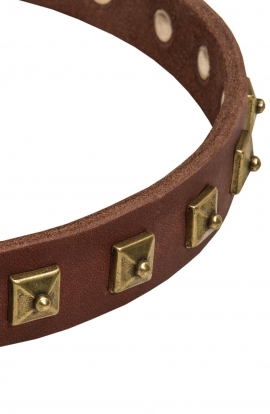 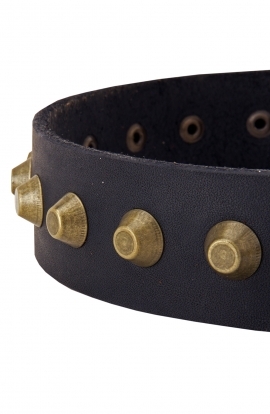 Featuring antique style brass pyramids, this dog collar stays sleek and modern! 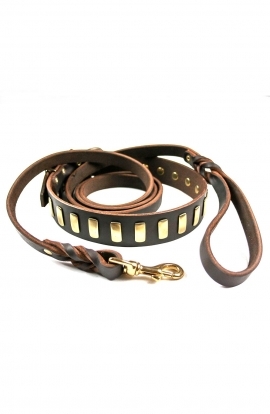 Here is exciting leather dog collar which is loved by customers for its handsome design and proven technology. 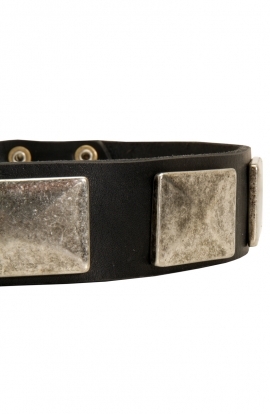 Decorated with a row of nickel-plated studs, it also features belt-style buckle, that is convenient and reliable. 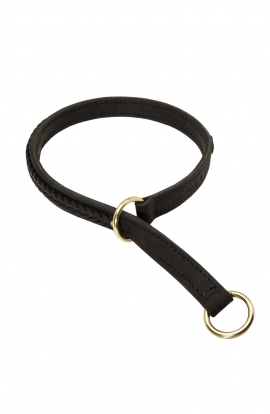 A silver metal d-ring lets you easily attach a leash or ID tag. 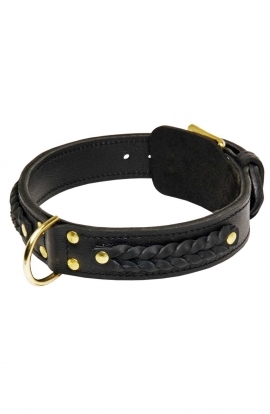 This dog supply is crafted of full grain leather, thus it stands out for its durability and long servicing. 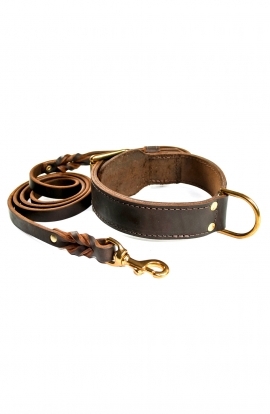 The collar with 2 reliably stitched together leather plies is intended to be used for managing of large and middle breeds. 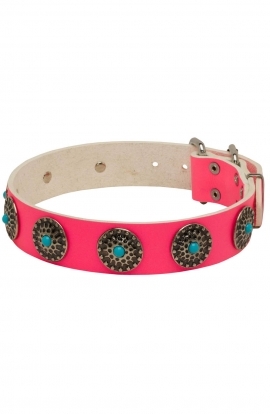 It has laconic and stylish design decorated with neat handmade braids, properly attached to the collar. 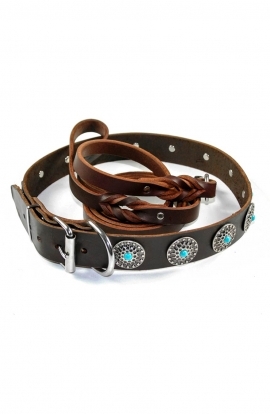 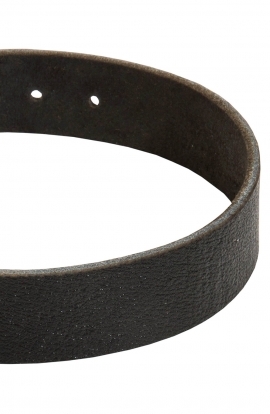 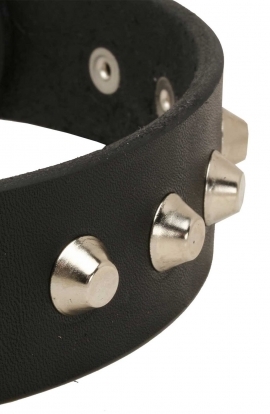 This handcrafted dog collar is made of thick top grain leather and features an understated style with big conical studs set in a row along the length of the product. 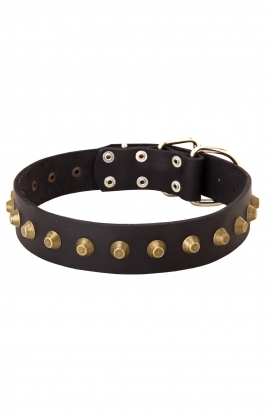 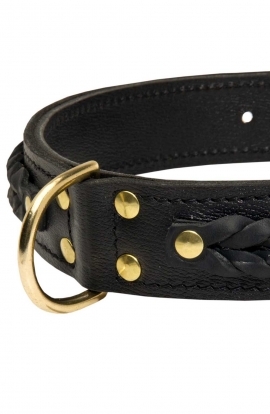 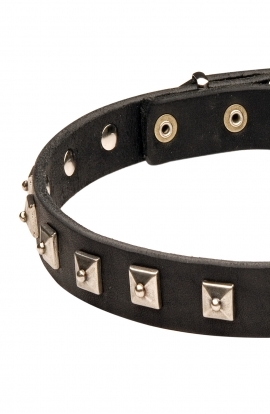 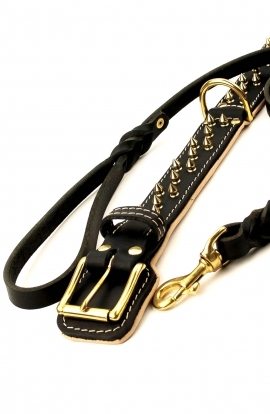 This chic dog collar features skillful craftsmanship and top quality materials. 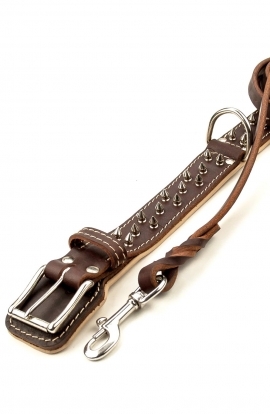 Thick genuine full-grain leather not only looks beautiful but is also long-lasting.